Ruby is an incredible breed-ambassador-level American Pit Bull Terrier mix! She loves loves loves puppies and is great at outdoor gatherings though indoor crowds can sometimes overwhelm her. Ruby is dog friendly but tends to be Alpha; she loves visiting neighbor dogs and will jump a standard chain link to do so (so no leaving her alone in a backyard). Ruby can be a little shy with humans at first and prefers women and kids. Sadly, Ruby displays some signs of being mistreated by a male in her past (she can get scared and shake but has never lashed out). Ruby is potty trained and crate trained but can be left out alone without destroying anything. She can be protective of her humans and is very strong so needs an experienced owner. Her perfect home will be with someone who will take advantage of having a breed-ambassador. 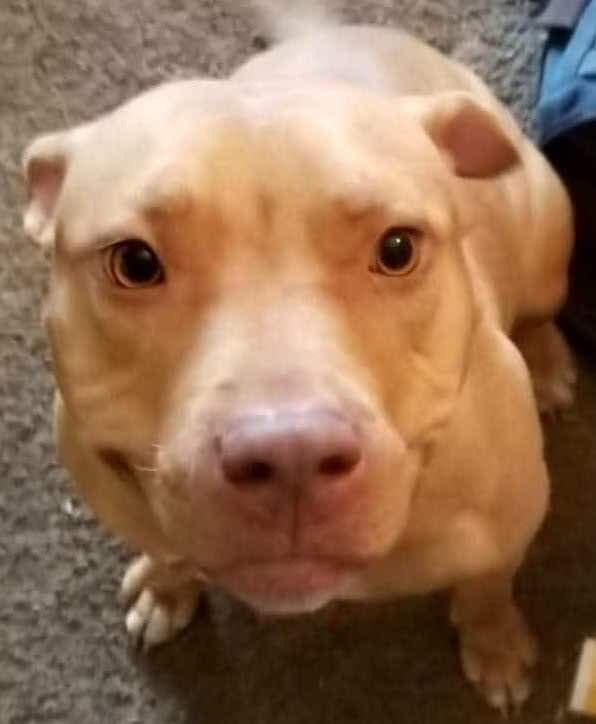 She is a balanced pit bull and has the ability to change hearts and minds.